Ronny Herman’s book, Rising in the Shadow of the Sun, is the story of a newly wed young Dutch couple seeking to carve out a promising future overseas, in Indonesia, the more commonly known as the Netherlands East Indies, a vast archipelago of thousands of islands, fabulously well endowed with diverse people, ancient cultures and natural resources. Two years later World War II broke out and with the German conquest of the Netherlands all communication between that country and the Netherlands Indies was broken. Ronny Herman’s mother then undertook to maintain a diary , mainly to record the development of her two young daughter’s, Ronny herself, born in 1938, and her little sister born in 1940. Hopefully the war would end and the diary would then give the grandparents of these two children a belated description of their childhood. The outbreak of the Pacific war very soon added a new dimension to this family quest. Since Ronny’s father Fokko was a trained navy pilot, he immediately became involved with the defense of the NEI, but with capitulation all but certain he escapes to Australia to pursue the fight . Now the diary is kept by Ronny’s mother also for the sake of the father. In the Shadow of the Sun follow the fortunes of this split family for the remainder of the war. 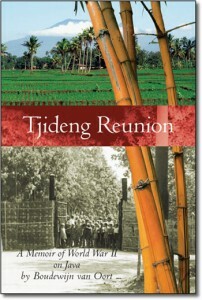 Ronny’s mother chronicles the awful years of incarceration (Halmaheira camp, near Semarang). Ronny Herman’s book interweaves this chronicle with the subsequent adventures of Fokko , now based on Ceylon (today’s Sri Lanka ). 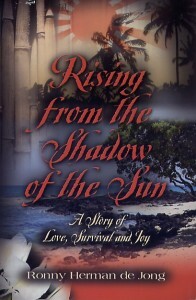 In the Rising in the Shadow of the Sun is one of the earliest books to have provided an English language account of these event on Java during the second world war. It tells not only a sensitive, mother’s tale of love, suffering and survival, but also casts a valuable light on Halmaheira, a large women’s and children’s camp near Semarang in Central Java, about which not much has been published in its own right. Ronny’s book adds significant information to that of other survivors such as that of Dorothy Read, and Annelex Hofstra Laison (Lost Childhood my life in a Japanese prison camp during WWII). 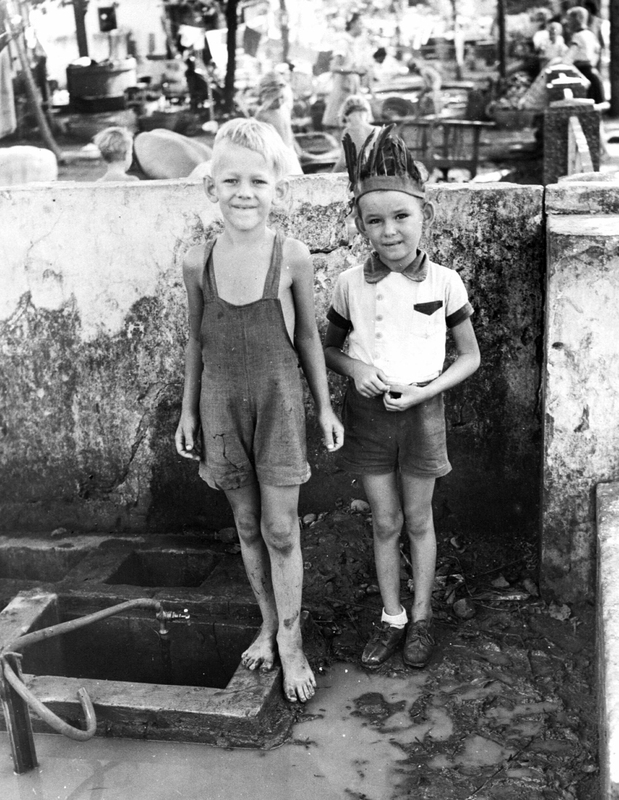 Ronny Herman’s retelling of her father’s military work on Ceylon provides an invaluable source of information on that forgotten part of the conflict.